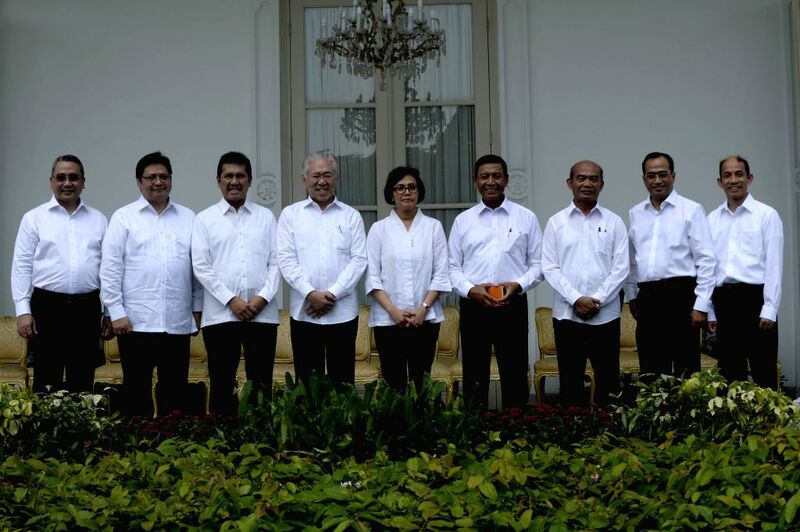 JAKARTA, July 27, 2016 - Indonesian new ministers pose for photos after Indonesian President Joko Widodo and Vice President Jusuf Kalla have announced new cabinet at Presidential Palace in Jakarta, Indonesia, July 27, 2016. Indonesian President Joko Widodo on Wednesday was set to install nine new ministers after announcing his second cabinet reshuffle in less than two years after taking office. 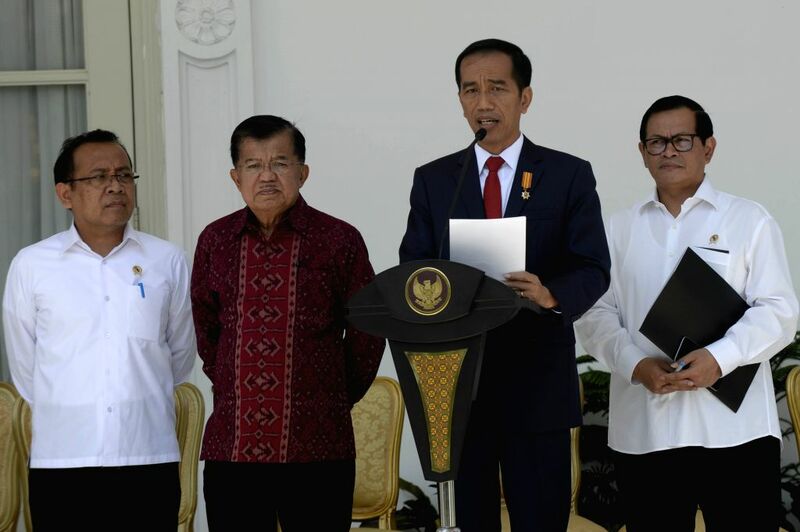 Indonesian President Joko Widodo (2nd R) and Vice President Jusuf Kalla (2nd L) announce new cabinet at Presidential Palace in Jakarta, Indonesia, July 27, 2016. 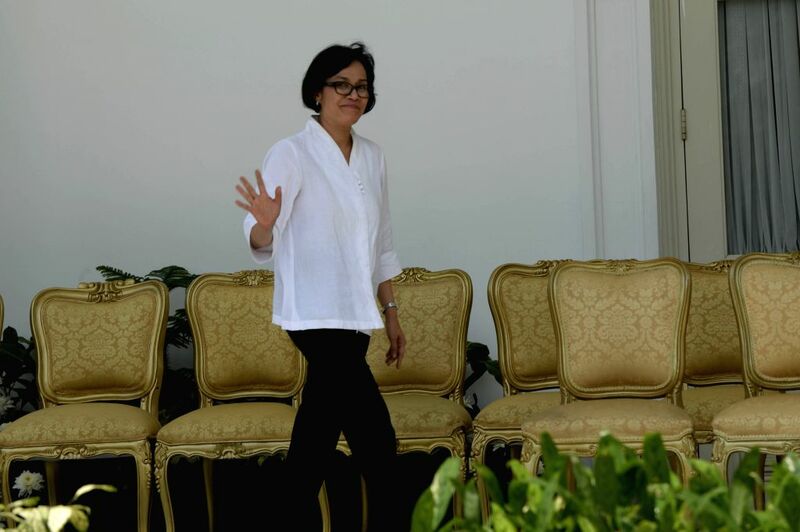 New Indonesian Finance Minister Sri Mulyani waves to journalists after Indonesian President Joko Widodo and Vice President Jusuf Kalla have announced new cabinet at Presidential Palace in Jakarta, Indonesia, July 27, 2016.